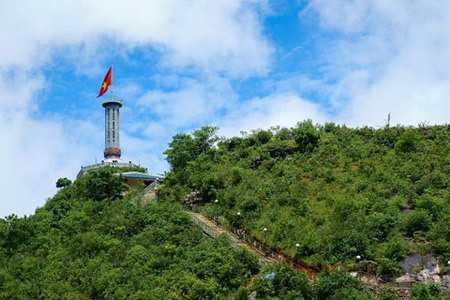 This 4-day Ha Giang tour allows you to visit the well-known destinations with breathtaking views such as Dong Van, Meo Vac, Ma Pi Leng pass in Ha Giang and amazing Ba Be Lake in Bac Kan province. Ha Giang is Vietnam’s northernmost provinces, which is about 300km to the north of Hanoi and located at the highest latitude in Vietnam. It shares a border with China to the north. 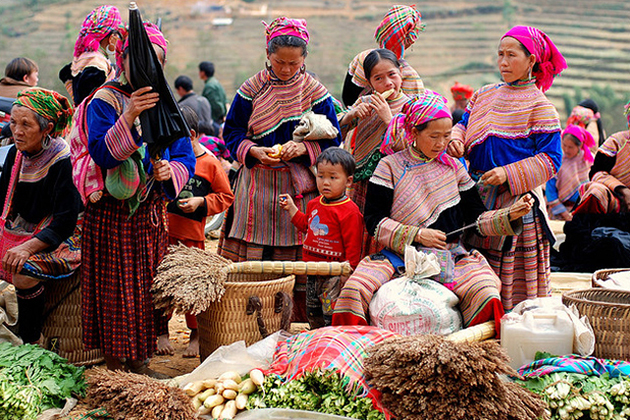 Many ethnic minorities, including the Dao, H’mong, Tay, and Nung, live in Ha Giang province. 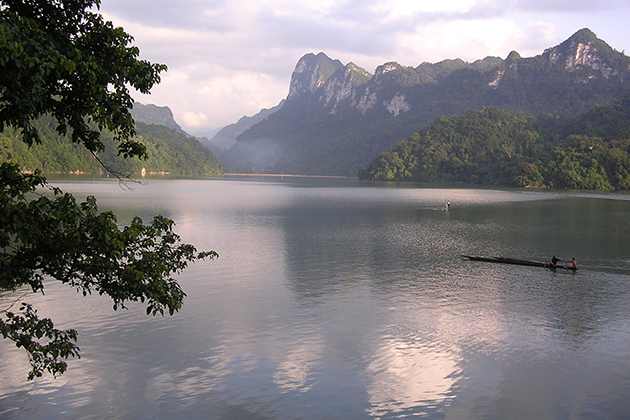 Ba Be Lake is the largest natural lake in Vietnam. It is located in Bắc Kạn Province in the northeastern region of the country. The tour should be at the weekends for the visit of Dong Van Sunday ethnic market. In the morning, drive to Quan Ba district and stop in Quan Ba on the way to visit the Bo Y minority village. Have lunch in Yen Minh town and take rest for an hour then continue the trip to Sa Phin village to visit the Former H’Mong King’s Palace. 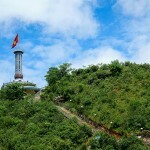 Keep driving up ahead to visit the Flag tower on the top of Lung Cu mountain located at the sharing border with China. Arrive in Dong Van district in the late afternoon, take a rest and walk around the ancient town of Dong Van. If today falls on Sunday, we will have the chance to visit Dong Van ethnic market, where all kinds of goods and multi-colored clothes can be purchased. The people here still retain their traditional life of remote minority tribes. After hanging around the Sunday market, travel from Dong Van along the Nho Que River and go through Ma Pi Leng pass which is considered as the most beautiful pass in Vietnam. Reach Meo Vac after two hours later and have a short rest before driving to Ba Be Lake. Tonight we will have dinner and enjoy beer time during the homestay, enjoy the nice river view in Pac Ngoi village. This morning we will take a boat trip to Ba Be Lake, the largest lake in Vietnam which has a water area around 500ha, spreading over 8km. 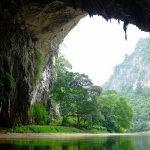 Then visit Puong Cave – one of the most beautiful caves in Ba Be national park, and sit on a boat to Dau Dang waterfall, while waiting for the lunch served in Minority restaurant, we will take a short walk to visit Dau Dang waterfall. After lunch, we will take a boat back to Pac Ngoi village, have a rest for few minutes then drive back to Hanoi (240 km), Arrive in Hanoi in the late afternoon. Tour ends. Are the driving hours & traveling hours of the tours including the stops? The hours in brackets each day of this tour, are this driving hours or travelling hours including stops? Would there be some time along the way to walk around or would it be mainly in the car? I would like to know since I would not want to book a trip where we would be in the car for most of the day/week and cannot much enjoy the nature/beautiful scenery outside of the car. Is 2-day tour in Sapa very touristy? Will the two days in Sapa area be very touristy or would we escape the crowds and sellers to remote areas? Is Nature and outdoor activities included in tour program? Would there be time to have some walks/hikes during this tour in general since we love nature and outdoor activities? Will the driver stop for some photos? Would there also be time to take photos since I love photography. Can I stop the driver if I would like to take a photo along the road? Ban Doc or Ban Gioc Waterfalls? You mention Ban Doc waterfalls. Are they also called Ban Gioc waterfalls? The same waterfalls? I would be interested in Ban Gioc Waterfalls. Is the meal included in tour program? What would this tour cost including meals? Just to know which would be the better deal for us. 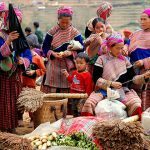 Are Ha Giang tours worth for a week? Do you think it would be better just to focus on Ha Giang for a week or actually the 2nd version can be easily done and it is well worth to go for the 2nd version? Of course if we can get a better picture of the North, from the west to the east that would be great. Yet I would not want to go for that in case it affects the quality of the trip. Last but not least. I do have US$ in cash which I want to use up. Can I pay the trip in cash? We would arrive in Hanoi two or three days earlier before the tour starts so I could pay you then in advance. I look like it would be very beginning of October. So still quite a few months away. 7 days for northeast tour and Halong overnight cruise? Can I be enough time to visit Northeast tour and Ha Long Bay overnight cruise with 7 days? For adventure tours, will we overnight home stay or at hotel? Homestay for adventure tours in Vietnam? Is there any homestay in Mai Chau? I’d like to spend one night in the house-on-stilt if it’s available. Best time for mouatin biking in Vietnam adventure trips? We like your Vietnam adventure tours, what is the best time for mountain biking in the Northwest? How far is it from Hanoi to Ha Giang province? Please don’t push me a difficult case. All services only proceed if all customer confirm by paying the deposit. The deposit will help both of us to secure the services. As you know the guide for the mountainous tour needs to book the experienced & mature one for riding your trip smoothly. We can’t keep him if there is no guarantee from you. I think that I have a better idea, you will pay the deposit with 30% of total tour. The balance will be flexible to pay in cash in Hanoi. I really advise you to take the second version package. The trip well merge all outstanding mountainous landscapes & you will have more many chances to touch the new, strangle, wild sites than be stick in Ha Giang. One thing you should focus, the beginning of October Ha Giang & other places on the west east north of Viet Nam will be less attracted than the September. If possible, you should take the trip within this month. 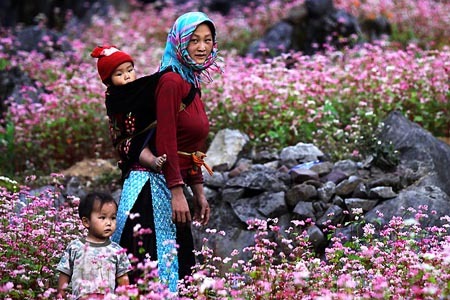 The nice flower ( Tam Giac Mach – the symbol of Ha Giang) always blooms fully on September & Sapa is often covered the yellow rice paddy terraces. Both of them will make your photos brighter. Please find the revised price in the file. I am delighted to send to you. Sure. The tour is flexible for your party to break time to walk around/hike… don’t forget we need to have visit some ethnic villages along the way.. you need to walk to reach them. I strongly recommend you to take the remote ethnic villages around Sa Pa, these villages were banned for the tourists & new open to welcome the tourists with the fixed permission letter. in order to visiting them, we need to take the letter & have a local guide to lead your party with the inevitable escorted guide to meander the small routes to reach them. So the price is higher but the landscape is wonderful & natural. You will hunt the best moments there. That is the main reason for no discount the price. Evenly I offer to not increase it. The specific hours I note is mentioned for the driving time, I quite understand that this is the full meaning of the excursions, this is not a simple transfer by bus J. It is sure that you will ask the guide/car for stopover any place to break time or take stunning photos along the way. Depending the distance & the time table, our guide will allow you stops to take photo/relax maximally. What is the best place to see in Vietnam adventure holiday? Is international air ticket included in 4 Day Ha Giang – Rocky Plateau Tours? Is it possible to have 5 Day Mai Chau – Pu Luong Discovery Tour with you? Hi there, we plan to visit Vietnam next year, but we like northern Vietnam the most. Can you arrange the tour for our adventure trip? Can you please let me know the prices of your adventure tours? There will be 4-6 people (3 couples), travelling to Vietnam next May-June 2015. We are all turning 30 years old and want an exciting active holiday in Vietnam together. We would like to know how much your active tours are to make up part of our trip and then we would probably spend 4days relaxing on the beaches at the end of our trip. Is there any adventure tour in Vietnam which I can cover all highlights in northeast Vietnam? Can we book 4 Day Ha Giang – Rocky Plateau Tours? 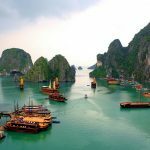 Vietnam adventure tours for 8 pax? 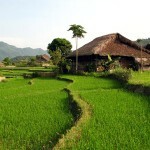 Is 5 Day Mai Chau – Pu Luong Discovery Tour available? We have 8 persons, is it possible to take adventure tours packages with lower price when travel with a big group? Any recommendation for 9 day active tours in Vietnam? We will arrive in Vietnam on 12th October, and we are looking for 9 days adventure trip for our vacation in Vietnam. What will you recommend us? Is Vietnam adventure tours suitable with a group of 50s years-old men? Where can I visit for an adventure tour in Vietnam? How far is it from Hanoi to Ba Be lake and how long to transfer? Yes, we can. Please leave us more information about your travel date as well as number of participants so that we can arrange or customize tours for your adventure trip in Vietnam next year. 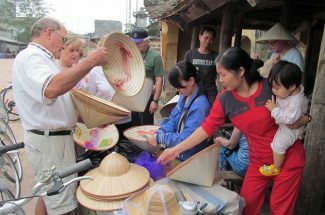 Sure, the tour 5 Day Mai Chau – Pu Luong Discovery Tour is available, please fill in tour inquiry form to make request. We are sorry, but the international flight tickets are not included in 4 Day Ha Giang – Rocky Plateau Tours. 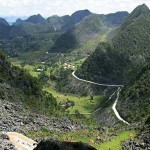 It is about 300 km from Hanoi to Ha Giang province. The best time for Vietnam adventure tours with mountain biking is from October to May next year as the temperature is reasonable and the rainfall is very low, especially October and November are harvesting time in the Northwest and the scenery is just spectacular. 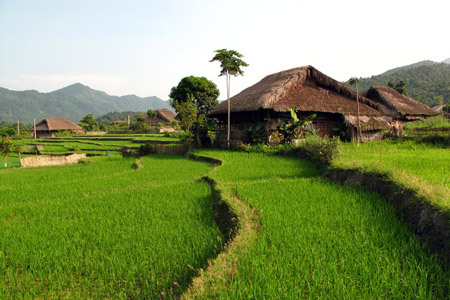 Yes, homestay in Mai Chau is one of the most interesting homestay in the north of Vietnam. With Viet Vision Travel, we arrange homestay at Pom Coong Village, less touristy than Lac village offered by other tour operators. You will spend the night in a house-on-stilt in a local Thai family with separate mosquito net, mattress, blanket and pillow. With a adventure tour, you often visit village or trekking, therefore, home stay at local house is normal. No, you cannot. I am afraid that you are not enough time to cover these places within 7 days. You should have at least 8 – 9 days. Within 7 days, you should visit Ha Long Bay day trip instead of overnight cruise. How long does it take to transfer from Cao Bang to Ban Gioc waterfall? It takes about 7 hours to transfer from Hanoi to Ba Be lake and we will have a rest with lunch on the road. With adventure tour, you can visit Northeast area, included Ba Be lake, Ban Gioc waterfall for home stay and trekking. Yes, Vietnam topography is not too hard for adventure trips. It is entire possible for you and your group to have a great adventure trip in Vietnam. We recommend 9 Day Adventure North – East Vietnam Tour with itinerary for most highlights in northern Vietnam such as Hanoi – Ba Be Lake – Cao Bang – Lang Son – Halong Bay. 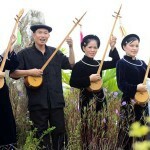 Please check, we have dropped you more tour packages for your trip in Vietnam. Yes, we are available 5 Day Mai Chau – Pu Luong Discovery Tour, correct that the more people in your group the lower price you will get for your tours. We have dropped you the itinerary and cost for your adventure tour in Vietnam, please check. Of course, we have dropped you reservation form for your adventure tours in Vietnam, please check and fill your personal information in empty blank. 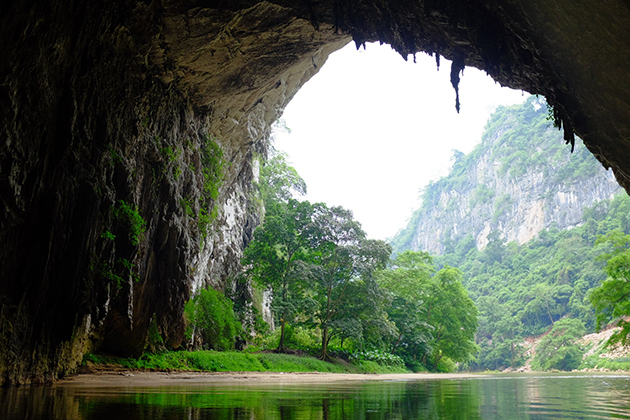 We recommend 9 Day Adventure North – East Vietnam Tour. It is a Vietnam active tour with great combine of the most highlights in northeast Vietnam such as Ha Long Bay, Cao Bang, Ba Be Lake, Ban Gioc waterfall, the border town of Lang Son. 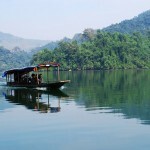 Can you name some hot picked destinations in northern Vietnam which are popular for adventure tours? 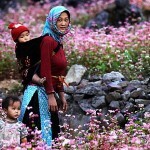 What itinerary will you recommend for 4 days adventure trip in northern Vietnam? Will you pick me up from hotel in each adventure? What activities can we do in adventure trips in Vietnam? 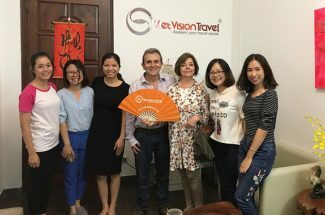 Could we customize tours for adventure trips in Vietnam? It takes a 3 hour drive from Cao Bang to Ban Gioc waterfall where is a natural border between Vietnam and China. 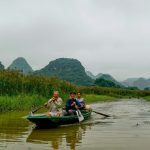 You may interested in our 4 days itineraries for active tours in Vietnam: Hanoi, Mai Chau, Hang Kia, Kho Muong, Ban Hin, Ban Trinh, Pho Doan, Hanoi or Hanoi – Ha Giang – Quan Ba – Dong Van – Meo Vac – Ma Pi Leng pass – Ha Giang – Ba Be Lake – Hanoi. We have dropped you tour packages for your 4 days adventure trip in Vietnam. Yes, pick up is included in our tour packages. Our driver will pick you up at the hotel you stay to start the adventure trip. Hanoi, Mai Chau, Ba Be Lake, Halong Bay, Cao Bang, Ha Giang… are great for adventure trips in northern Vietnam. Most adventure tours in northern Vietnam include these places, but in case you want more challenges from you adventure you can customized tours for your trip in Vietnam. There are many activities for your choice to do for your adventure trips in Vietnam such as hiking, trekking, cycling, walking or rambling around… Your trips are organized by our experts with activities, fun and safety in mind. 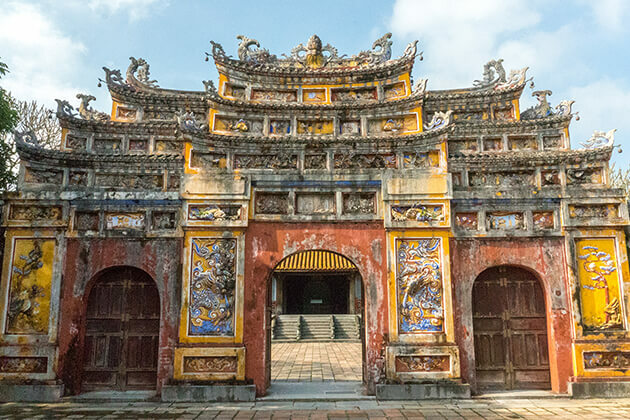 Yes, you can customize tours for your adventures in Vietnam. Please fill in reservation form we have sent you and sent us back via email. When we pass Dong Van and Meo Vac, will we pass via Ma Pi Leng Pass? We heard, that was a beautiful spot, so we would love to have this included in our trip, if possible. 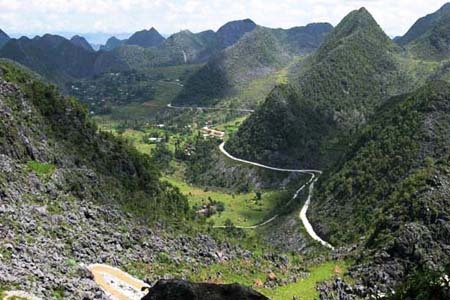 yes, from Dong Van to Meo Vac, you will pass the amazing Ma Pi Leng Pass, it’s one of the most 4 stunning passes in Vietnam. 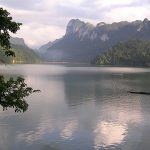 The scenery is spectacular with mountain, forest and surround by a river in the foot of the mountain. For sure you will have a great chance for photo shot in this pass. We’re concern on the basic accommodation in Ha Giang and Meo Vac, which is the best hotels there? The best hotels available in this remote area is: Truong Xuan Resort in Ha Giang and Hoa Cuong Hotel in Meo Vac. They’re our frequent-used hotels for our clients, the room and its facilities are good compare to all others. However, please do not expect for 4* or 5* International hotels in the area as they’re all local standard. Can I take a 4-seater car instead of a 7-seater, I want to bring the cost down? Sorry but the 4-seater car is not suitable for mountainous trip as we will have many sharp curves and high pass on the way which is not suitable for 4-seater car. For all trips in the mountainous area, we will use 7-seater car or 4WD as it’s more feasible and safer. I will also try to offer the best price as we can. 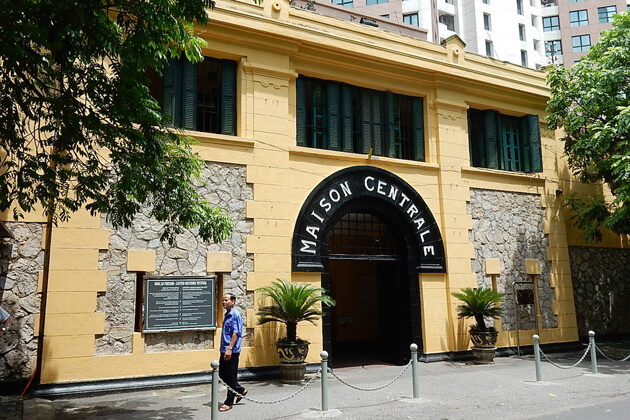 What time to start and finish a tour in Hanoi? The time to get back Hanoi is little late, after the boating in Ba Be Lake, we will return to Hanoi and arrive in Hanoi at around 7.30 PM. Will there be any rice planted in the terraces at that time of year? And how will be the weather in March? Actually Ha Giang is more of a corn growing area (terraced corn) than rice. There is rice grown in a few of the districts in Ha Giang, but it’s in flatter area. The spectacular views are in the corn growing area. If you really want rice, go to Lao Cai/Sapa. May is good for lush green everywhere in northern Vietnam where there are rice terraces, Sapa and Ha Giang in particular. As for your case, Greening up nicely by the end of March. Also, how do we get the required permits from the area around Ha Giang? A the permission letter will be arranged by our guide on arrival, no worry for this, we just need your personal information like full names, date of birth, nationality, passport number and expiry date, the rest will be taken care by our guide. The fee for this is already included in the quotation. As soon as you confirm to book the trip with us, I will handpick our very good guide that specialize in outdoor activities for you with excellent health, experienced in hiking, trekking and other skills related to the adventure activities. 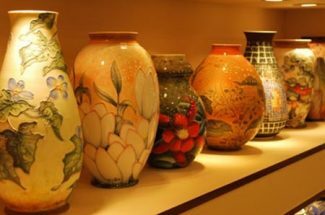 They’re all mature, acknowledgeable, humorous and all are licensed by Vietnam Tourism Administration of Tourism.